Don’t be surprised if Democrats score some surprising wins in Arizona. 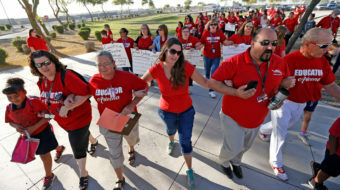 Arizona teachers have voted to strike. 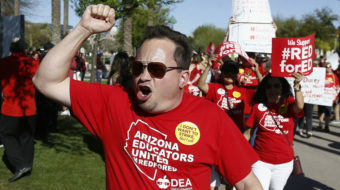 People's World interviewed Arizona Education Association President Joe Thomas. 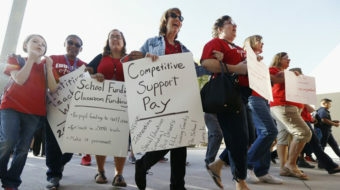 With a poor offer on the table that seeks to divide education workers, Arizona teachers are ready to hit the picket line. 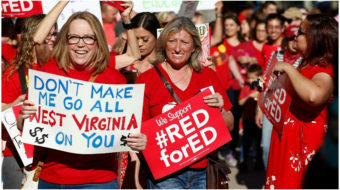 It’s amazing what a threatened teachers strike in an election year can get the Republicans to do.